To add a review or rate a turntable, browse for the model and use the review form. I have know this turntable since the late '70s. I love the design and tonearm. The motor is a 24-pole, and runs very smooth. The Lustre GST1 is in my opinion just as nice as the SME 3009. All in all its a great and beautiful vintage turntable. It is optimal if you have a wall-mount for it. I'm using it with a Denon DL-103, it works just great. I have had this player for about 20 yrs+. The wooden cabinet is quite crappy, thin walled and cheap made, so I replaced the box with a homemade massive plinth of 5 layers of 22mm plywood glued together with aqoustic anti-resonance glue. Recessions in the plinth was made to accomodate the motor, tonearm and bearing. Placed on a slightly pumped bicycle tire (and carefully levelled) the turntable is now completely unsensitive for vibrations and is beautiful to look at. (Mahogany tanned and clearcoated 10 times with boat polyurethane laquer). troublefree for all these years. Replacing the drivebelt recently gave a nice improvement in both noice level and speed accuracy. in nearby future since these pickups are quite old and the needles may be more or less worn out. 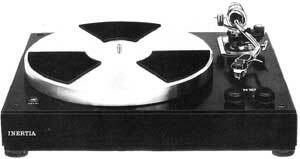 Luxman is the most musical and warm but suffers from etchy treble from cymbals. Conclusion......Everything but the box is really nice with this player.....replace the cabinet with something better and this player may be your friend for many years to come.